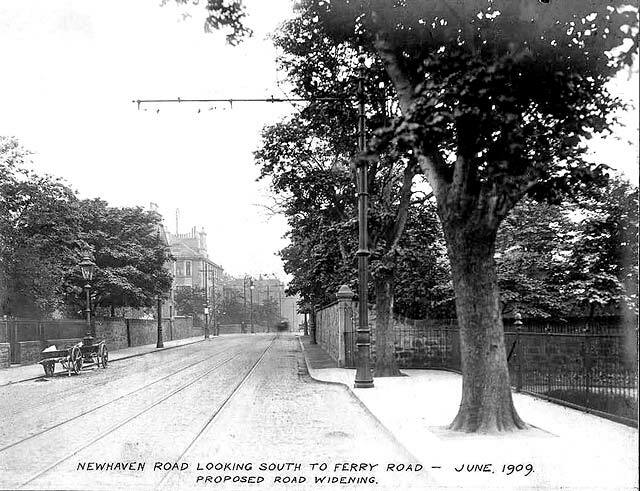 Thank you to Archie Foley for allowing me to reproduce this old photograph of Newhaven Road, looking to the south towards Ferry Road. - a small gas lamp post on the left beside the two small barrows. - a tall lamp post in the centre of the photo. possibly at Ferry Road. - a tall pillar in the foreground with long bracket for the tram cables.